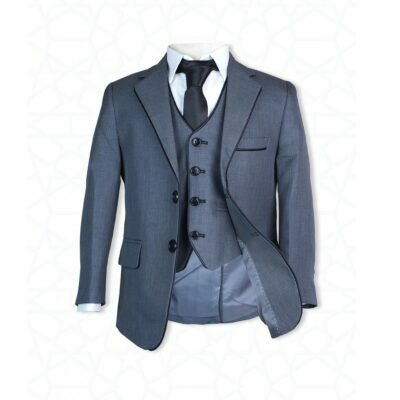 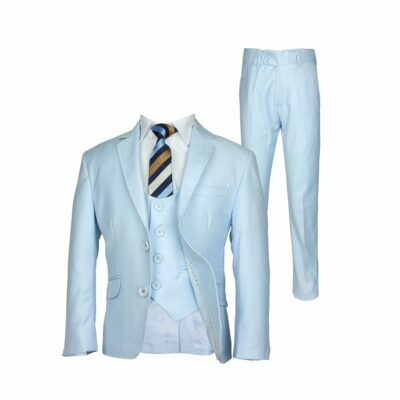 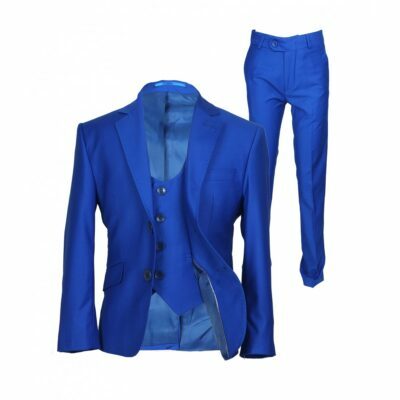 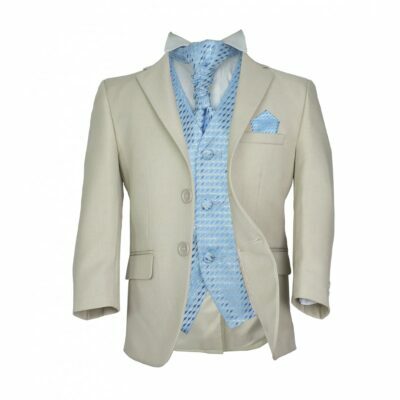 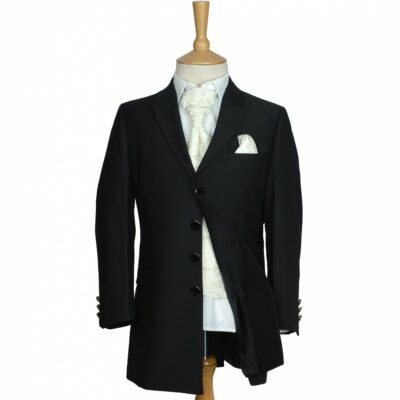 We create 5 piece boys tuxedo suits which includes a jacket, trousers, waistcoat, classic collar shirt and a tie. 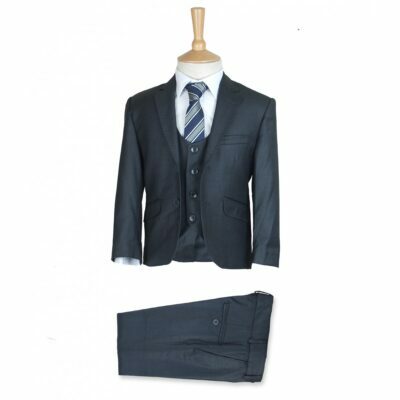 We have a variety of colours, patterns and materials to suit any occasion. 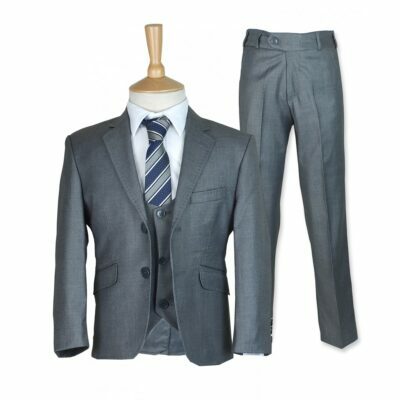 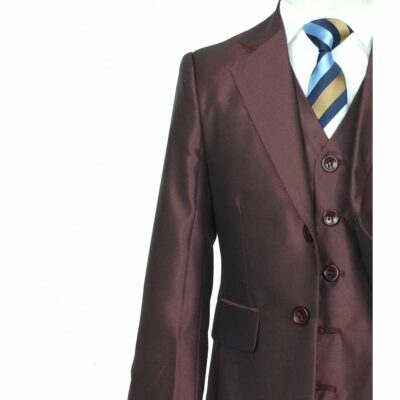 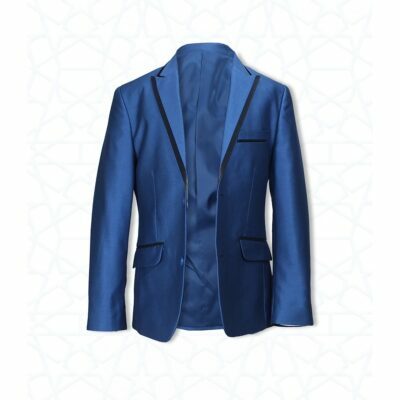 All our suits are made to the highest quality and are dry clean only.